Eat like a king! George's $24k-a-year school boasts a rooftop playground, pottery room and mouth-watering food. 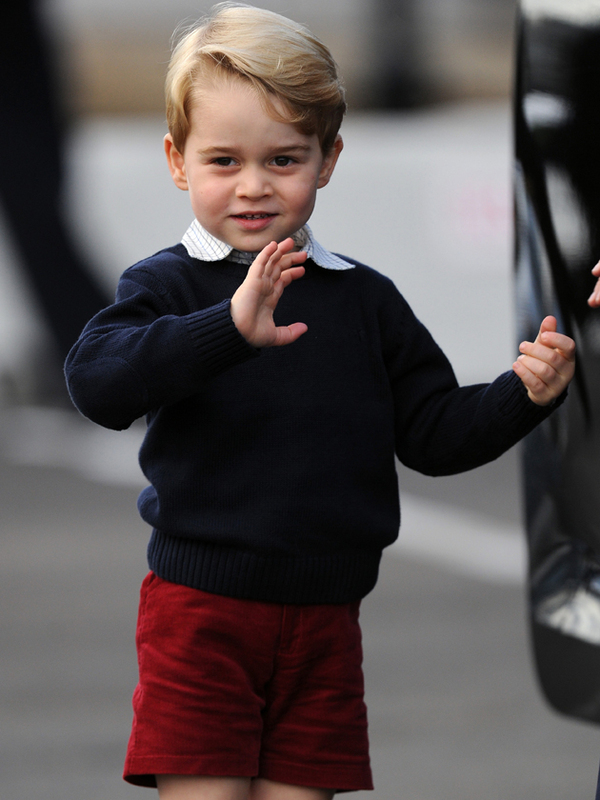 As thousands of children return to school this week, Prince George will be toddling off to learn and make friends at his new £18k-a-year London prep school. But whilst most of us have mixed memories of tucking in to school dinners – love them or loathe them – one thing we will all agree on is that the food was nothing like the feast that is going to be served up to these ‘posh’ pupils. Whether Prince George is likely to have school dinners or take a packed lunch remains to be seen but with a tastebud-tickling sample menu, served on a three-week cycle, offering a protein main including salmon, lamb, BBQ pork, or the veggie option such as freshly baked courgette, halloumi and beetroot layer slice, school dinners will be hard to resist – even with the most amazing cartoon character lunchbox. Forget saying ‘just peas please’, the vegetables on offer includes baby corn, mange tout, cucumber and carrot batons, plus carbs including cous cous and quinoa. But fear not, there’s the usual old school favourites like freshly prepared BBQ pork strips [aka pork sausages], deep fried spicy spirals [aka curly fries] and the classic jam and coconut sponge pudding with organic custard. And if choosing what to eat wasn’t enough to make Prince George spoilt for choice, he’s going to receive a well-rounded education including lessons on understanding the world, following in the footsteps of celebrity alumni like model and actress Cara Delevingne and singer Florence Welch. At playtime, George will be able to take a peep at the world around him from the rooftop playground or run around on the one-acre playground with Astroturf. But when it comes to creative learning, the little Prince can show off his dancing skills in the ballet room, experiment in the science laboratories or make his mum and dad – the Duke and Duchess of Cambridge or indeed the rest of the Royal Family– some new crockery in the pottery room whilst keeping up with his studies in the two libraries. This story originally appeared on Celebs Now UK.